The Monastery of Ostrog is a monastery of the Serbian Orthodox Church sitatued against an almost vertical background, high up in the large rock of Ostroška Greda, in Montenegro. It is dedicated to Saint Basil of Ostrog (Sveti Vasilije Ostroški), who was buried here. From the monastery, a superb view of the Bjelopavlići plain can be seen. The monastery is located 50 km from Podgorica and 15 km from Nikšić. 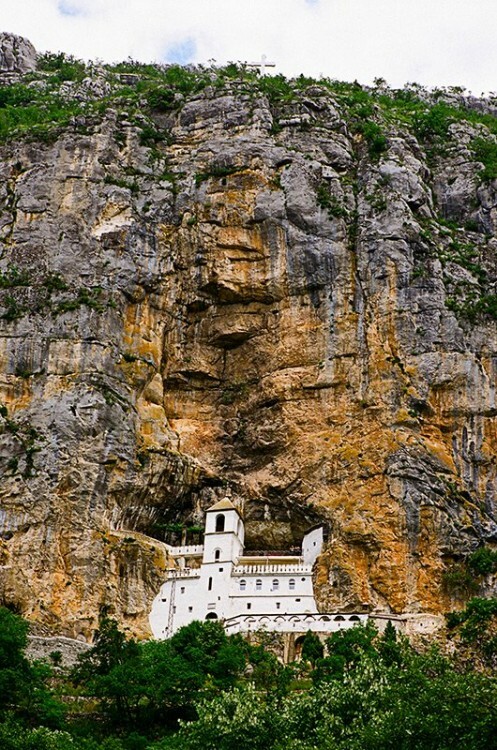 Ostrog monastery is the most popular pilgrimage place in Montenegro.